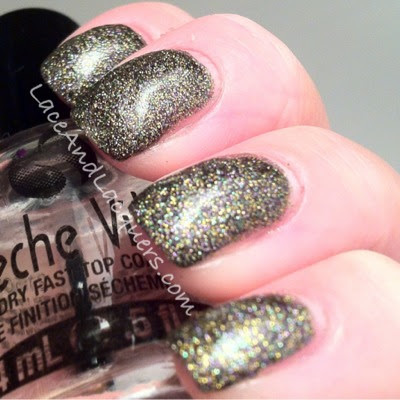 Today I have a look at some micro glitter bomb polishes by Nail Sauce! 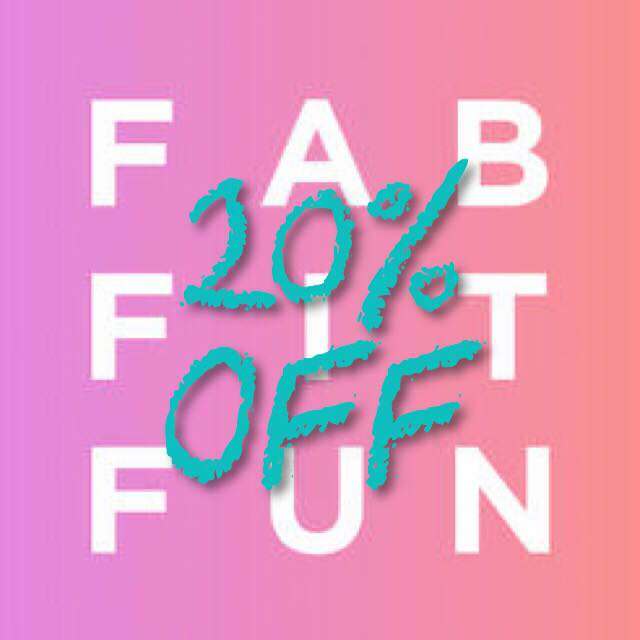 Nail Sauce is a newer indie brand you can find on Etsy! One of my Instagram friends, Felicia, is the one behind the creations! She sent me a few to review for you guys! Here is a bottle shot! 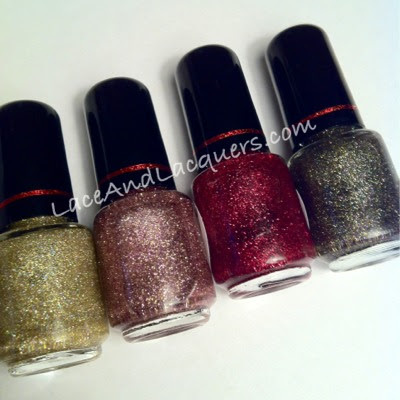 Let's take a closer look at some swatches of these glitter bombs! I did 3 coats of Holy Glitz. I was expecting many more but covered really well! 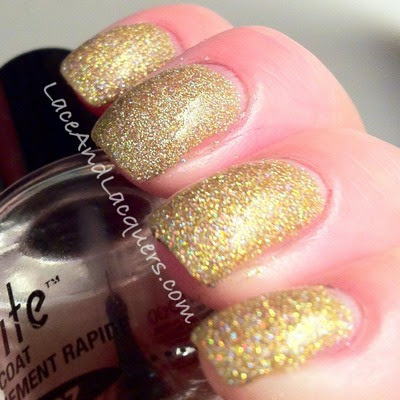 Such an awesome glitter polish, reminds me of disco! :P the mix of gold and holographic glitter is awesome! This was one of the ones I was most excited for, I had this on my Etsy favorites before she offered to send me some! This was also 3 coats and is a mix of pink and gold glitter. This almost has a rose gold look to it, which I think is why I like it! I think any of these polishes would do well in the mani above! Another 3 coat glitter! This one was my favorite! 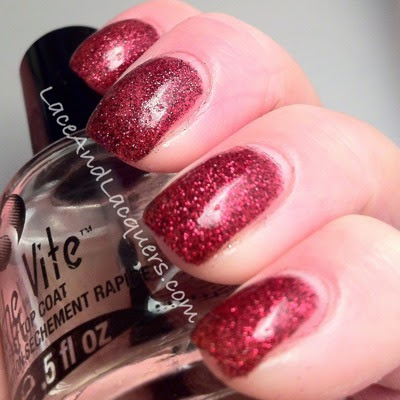 I didn't think it would be but I love the mix of ruby and black glitter! 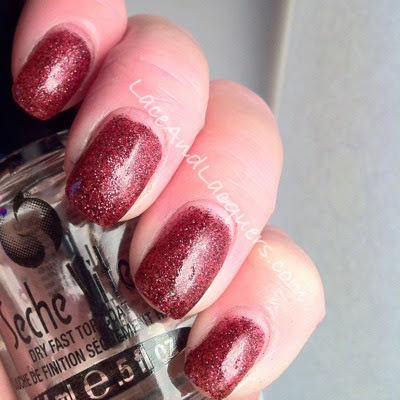 One thing that makes this different from the other polishes, it has a sheer red base instead of a clear one. 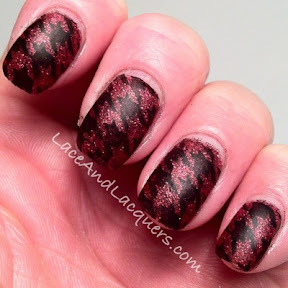 know we've seen this mix of glitter in other polishes but I honestly think this is the best black and red glitter mix. 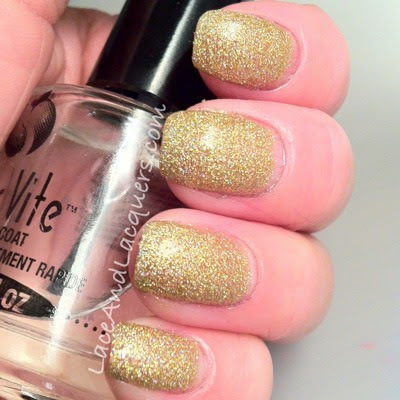 I think the fact that it is ultra fine glitter VS hex makes me like it so much! Later Hater is the most unique glitter mix out of the samples she sent me. It makes me think of Mardi Gras with its green, old and purple glitter! So much fun going on in this polish. Again, this was 3 coats like the other polishes. All these glitter polishes applied VERY smoothly and dried reasonably fast. However, I DO recommend waiting between coats to avoid the glitter from slipping around. Better dry than sorry! You can find Nail Sauce on Etsy! 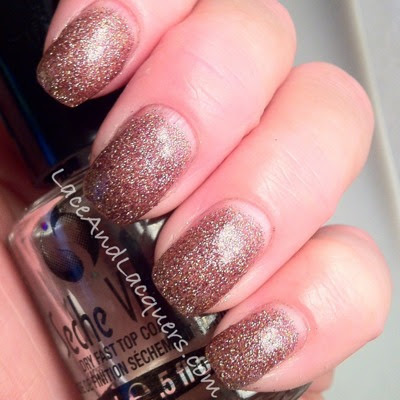 If you're interested in another Nail Sauce swatch, check out mine of Abalone Shell: here. Her polishes are $6-$8 for a full sized bottle. she also just release and new collection called Se7en, based on the seven deadly sins! very ptetty polishes! i really love the gold and the last one!